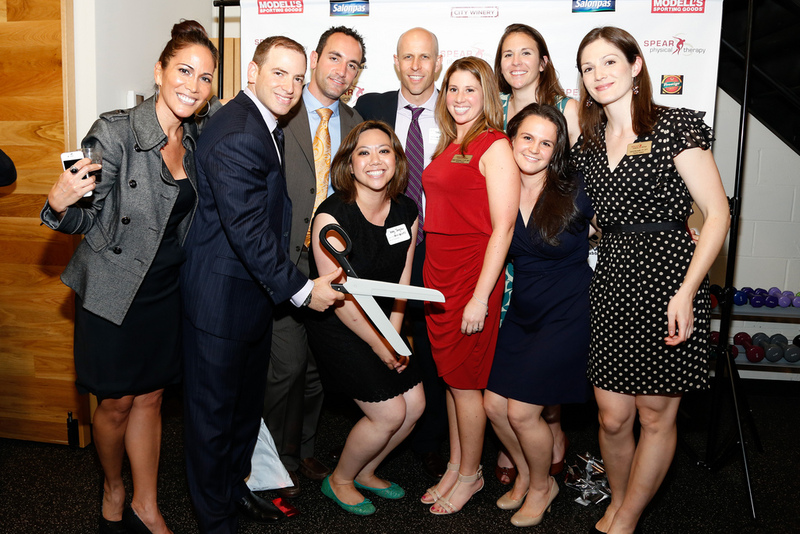 Members of our Executive Leadership Group after Chelsea’s Ribbon Cutting ceremony: (from the left) Maria Andrade, Dan Rootenberg, Ryan Kitzen, Meg Tanglao, Dave Endres, Jaclyn Fehrenback, Kelly Althaus, Karen Poplavski, and Laura Muzzatti. What a night! 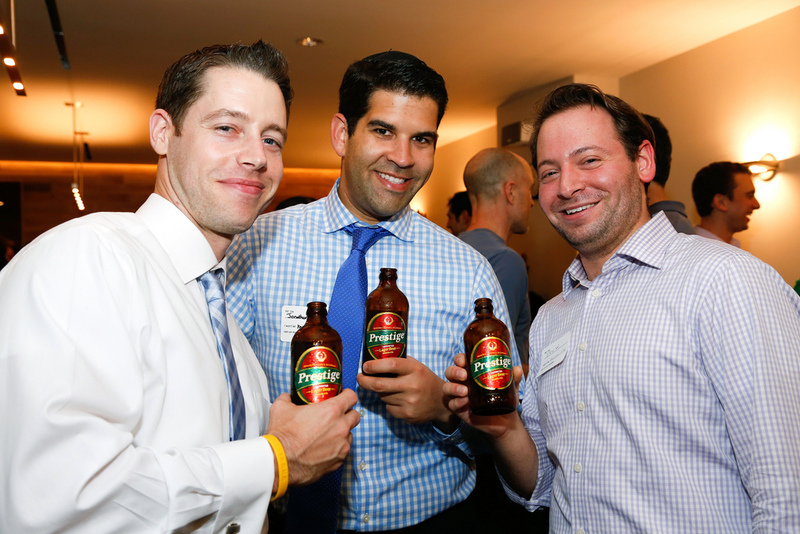 Patients, friends, referring physicians, and the Chelsea community turned out in force to help us celebrate the grand opening of our 16th Street location on June 13th! Hoping to kick start an active and healthy summer for the community, our celebration also doubled as a Sports Injury Prevention clinic, which offered our nearly 250 guests complimentary services including professional massage, shoulder and risk assessment, a Rocktaping clinic, Wii Balance Station, and video running analysis. 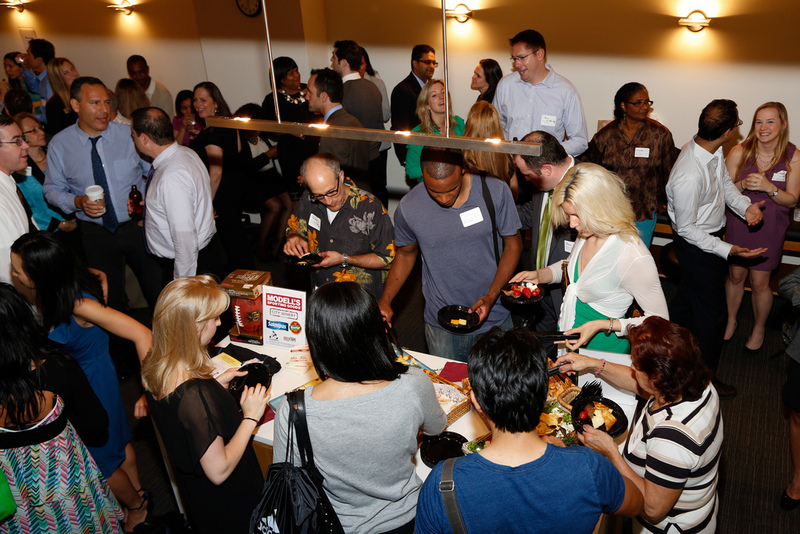 The strong turnout gave us an opportunity to share our love of physical therapy with the Chelsea community, with new and familiar faces mingling with our talented staff as they noshed on hor d’oeuvres and enjoyed beverages provided by City Winery and Prestige Beer. 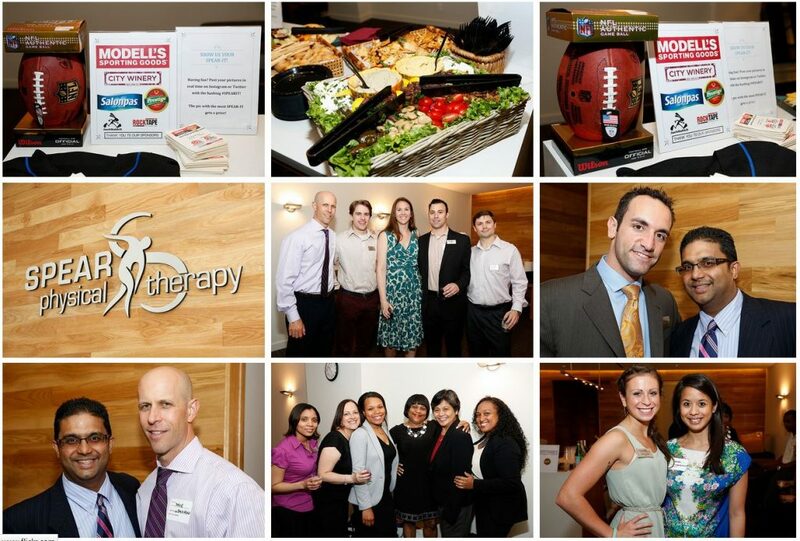 Other sponsors for our event included Modell’s, Salonpas, and Jack Rabbit. 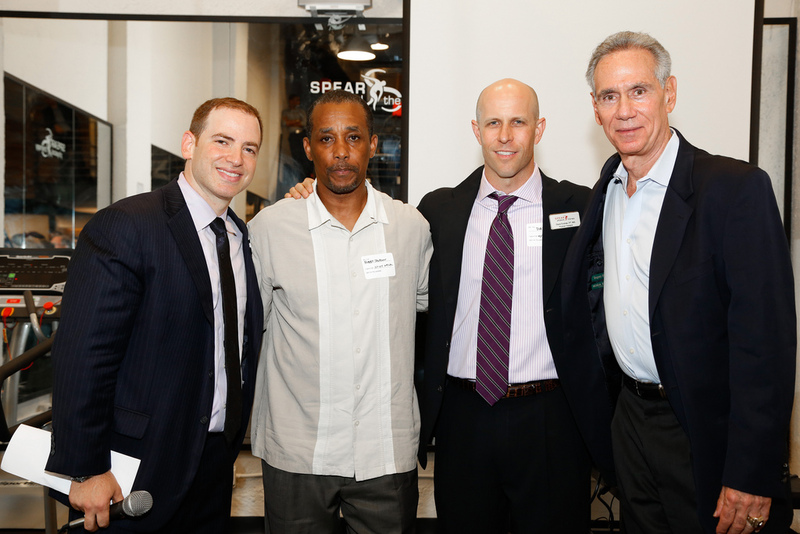 The enthusiastic crowd was also treated to toasts by 1969 World Series Champion Art Shamsky and All-time NY Jet Bobby Jackson, who acknowledged the role of physical therapy and rehabilitation throughout their careers. Art also signed a Mets jersey and a copy of his book “The Magnificent Seasons,” for our raffle contest, which included prizes like an authentic NFL football signed by Bobby Jackson, a SPEAR gift certificate for a professional massage, 2 $25 gift certificates to Jack Rabbit, $50 toward any SPEAR treatment, and a running video analysis. 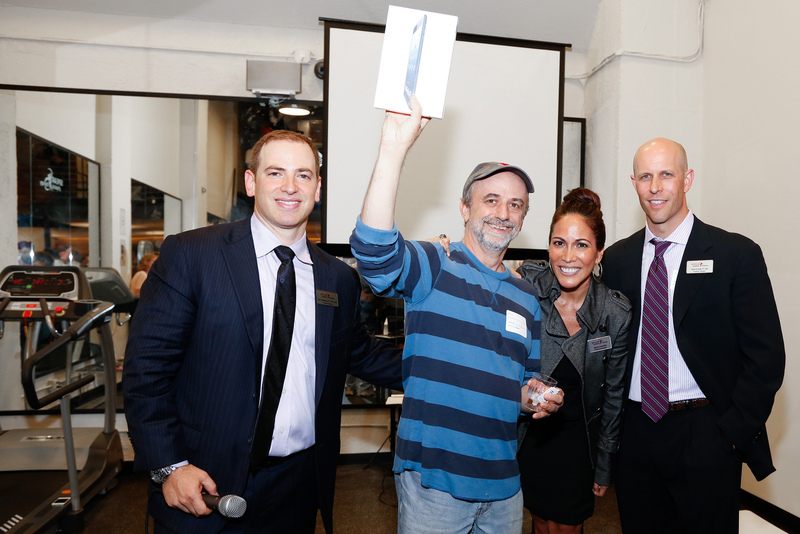 One very lucky guest went home with the evening’s biggest prize, an iPad mini! We also premiered our new video at the event, a short piece highlighting the reasons why SPEAR’s therapists are so passionate about their work as well testimony from patients whose lives have been impacted by the treatment they’ve received at SPEAR. Footage was shot at the Chelsea and 44th street locations last month by the expert team at Emmy-award winning Editology. Bobby Jackson, who works with Modell’s, presented SPEAR with our own “Modell’s Team Weeks” coupons, offering a 15% discount on all purchases for anyone who uses the coupon. SPEAR earns 5% of the proceeds from these coupons and is donating all of it to the Challenged Athletes Foundation, an organization whose purpose of turning amputees into athletes has been championed by SPEAR therapists Jared Lando and Laura Muzzatti. Click on the picture of the coupon to print it and start saving for a great cause! The coupons expire on 07/11/2013. 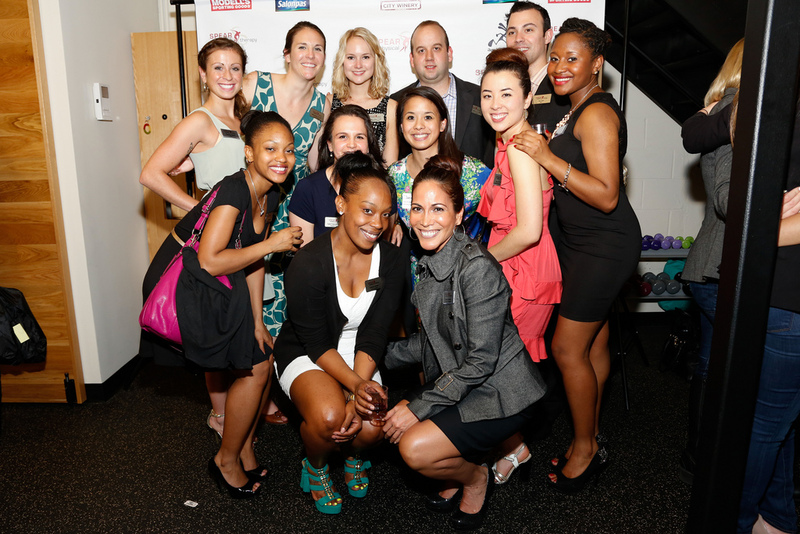 For full albums of the event, check out our our Facebook and Flickr pages! 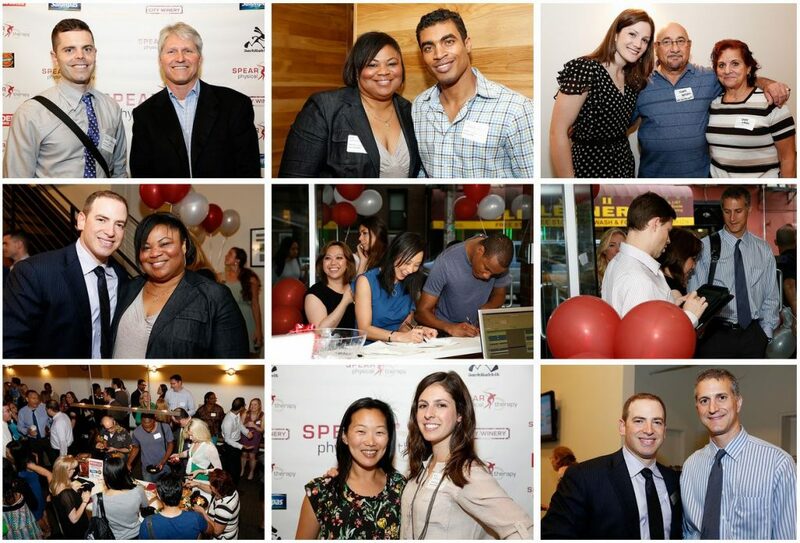 Thank you all for your continued support and enthusiasm for SPEAR! We are so grateful for the opportunity to get NYC back to life!